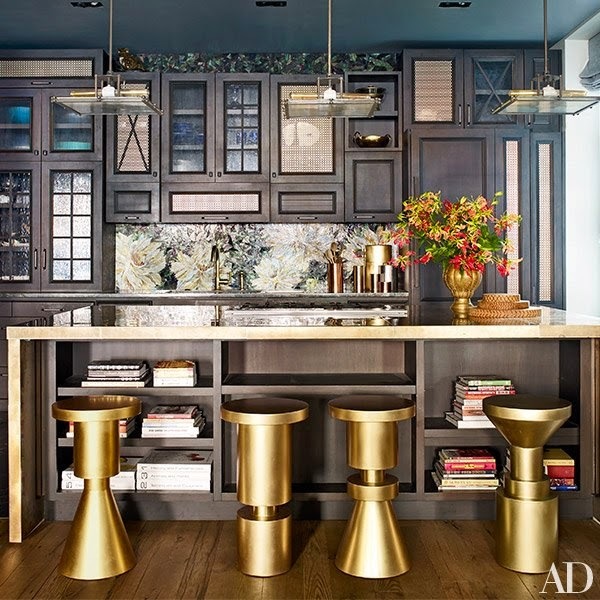 Lush Fab Glam Inspired Lifestyle For The Modern Woman: Inside John Legend And Chrissy Tiegen's NYC Apartment. Inside John Legend And Chrissy Tiegen's NYC Apartment. Stylish Celebrity Homes: Inside John Legend & Chrissy Teigen's NYC Apartment. Singer/Songwriter John Legend and his wife model Chrissy Teigen opened up their recently purchased Manhattan Apartment located in the heart of Little Italy to Architectural Digest. In the February 2015 issue the couple gives us a sneak peek inside the warm and luxurious home designed by Don Stewart. 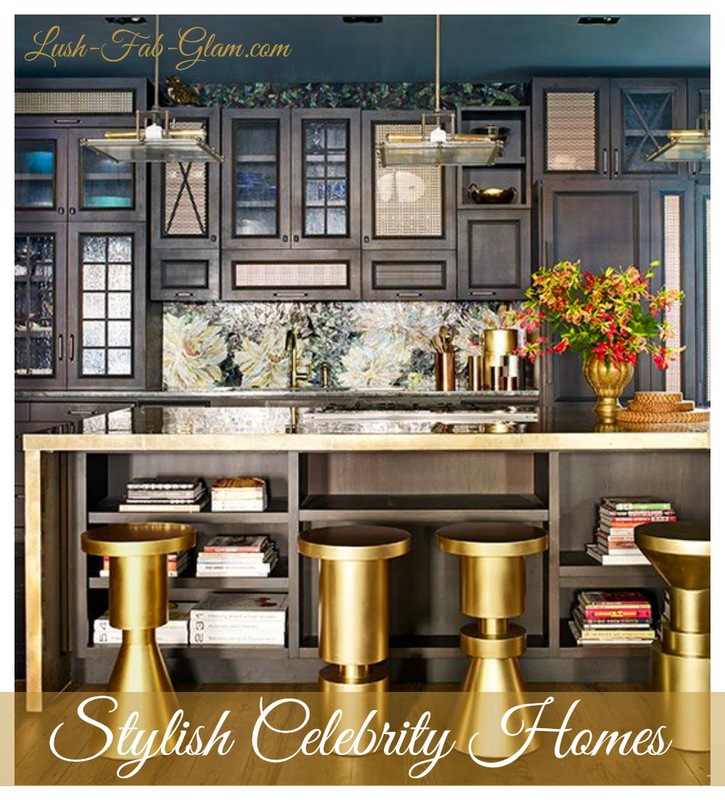 Our favorite space is the glamorous kitchen with it's all brass island top and bar stools with an amazing custom-designed back splash. Read on to see more photos and design inspiration from John Legend and Chrissy Teigen's Manhattan Apartment. 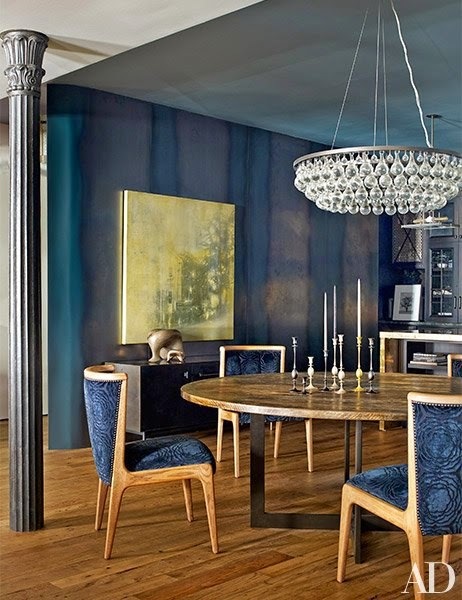 In the dining area the wood furniture and floors add warmth to the midnight blue walls. 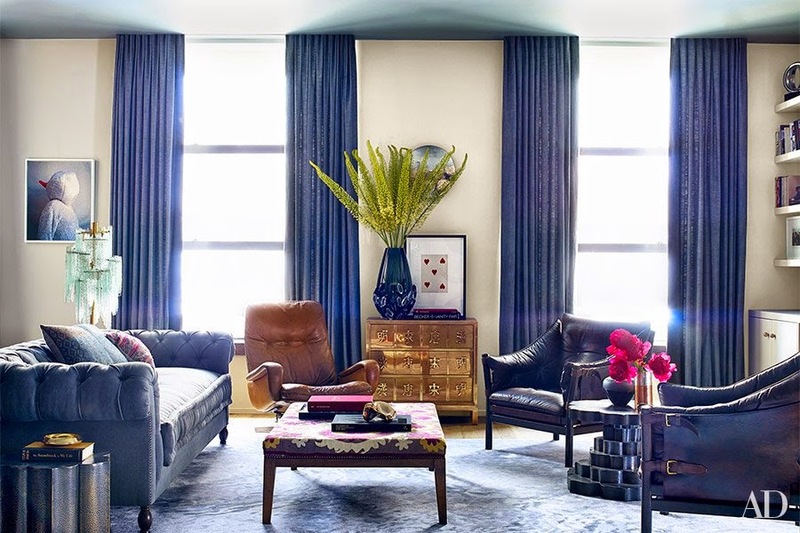 Beautiful ceiling height windows bring in lots of lights into the space and brightens up the eclectic mix of dark leather and tufted furniture. This beautiful nook space created in a section of the living area is perfect for relaxing with a book or cup of tea and a little entertaining. Their bedroom features a floor board wall and a beautiful vintage print leather headboard. 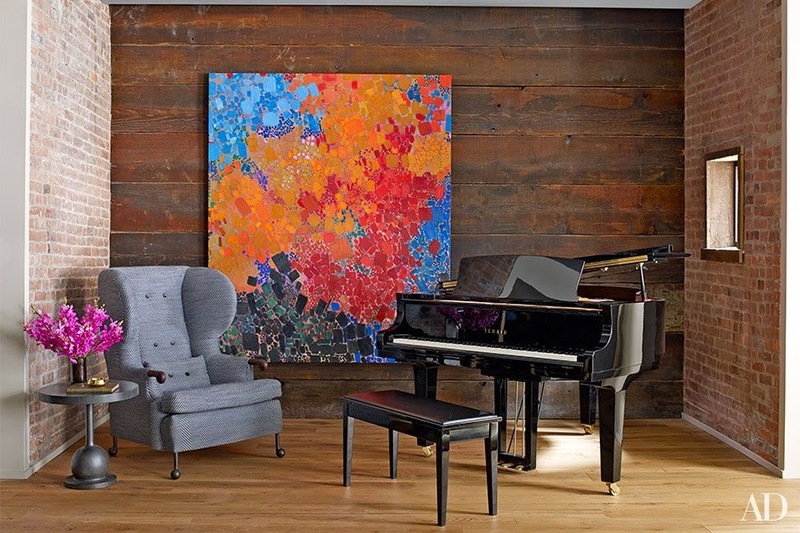 Which design feature/ room of John Legend and Chrissy Teigen's home do you love? Share with us by leaving a comment below. Beautiful home indeed. Love the colors!